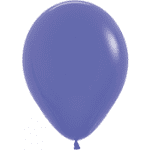 Printed Periwinkle Balloons are perfect at corporate fun days and are a great low cost branding item. Balloons can be personalised with your business message that turns these latex balloons into highly visible promotional product. If you have stuffed up and left it too late or are just tight then balloons may be the right solution for you.